Pastor James grew up in a military family and after graduating from high school in Anchorage, Alaska, he joined the U.S. Army as a Military Policeman. After a tour in Bosnia, he married Melissa Shaffer, from Greeley, Colorado, in 1998. Together they spent several years traveling with the Army. James became a Special Agent with the Army's Criminal Investigation Division (CID), where he investigated felony crimes and served on the protection detail for the Secretary of Defense and other dignitaries. 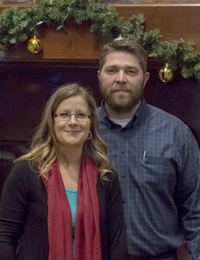 Pastor James and Melissa have been in ministry for several years in various churches and have spent the last seven years in southern Arizona. Pastor James holds a Bachelor's degree in Criminal Justice and a Master's degree in Biblical Studies. Pastor James also is the author of a Christian book and Bible study curriculum called The Light Switch, written to equip Christians to win lost souls within their reach. Pastor James and Melissa have been married for eighteen years and Melissa home-schools their two daughters; Elise (13 yrs) and Avonlea (8 yrs). The Moore's coach the girls in softball and their girls play the piano. 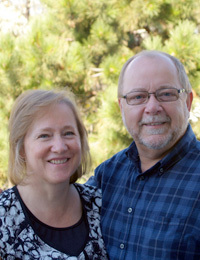 Pastor Frank and Corinna are from north central Minnesota. They have two grown children and two grandsons that live here in SD. Frank is a graduate of North Central University and is an ordained minister with the A/G. God opened many doors for the Haag's to come to Rapid City and they are excited and happy to be a part of what God is doing in and through Journey Church. Frank loves motorcycling, hunting, fishing and spending time with family. Corinna loves spending her free time with her grandsons and serving in Women's and Children's Ministry. She works out of her home office as a Business Manager. Pastor Frank and Corinna are excited to be part of the ministry team here at Journey Church. 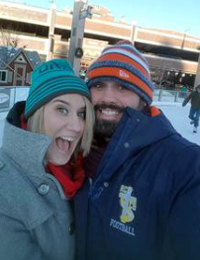 JJ and Hannah have been married since 2012 and both have been involved in ministry since graduating from high school. Hannah attended South Eastern Missouri Masters Commission after graduating in from Camdenton High School in Camdenton Missouri. In 2010 Hannah moved to South Dakota to attend a second year of Master's Commission at Black Hills Master's Commission. JJ graduated in 2006 from Rapid City Christian and attended Teen Mania Ministries Honor Academy after graduating. He then went on to complete a Discipleship Training School with YWAM Denver in 2008 before enrolling with Black Hills Master's Commission in 2010. JJ and Hannah started dating in the summer of 2011 and married a year later. 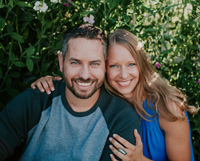 Soon after getting married they joined the staff at Journey Church as youth pastors. JJ and Hannah enjoy eating good food and spending time with friends and family. Sara was born and raised in Rapid City. She attended one year of college at Evangel University and completed her K-12 Music Education Degree at Northern State University and is currently an elementary music teacher at Knollwood Elementary School. She is an Assembly of God licensed minister and has served as a Music Minister for the last 11 years. Her husband Frank is an accomplished vocalist and guitarist and their collaboration in music ministry is one of the highlights of their life. They have 2 children, Olivia (12) and James (10). 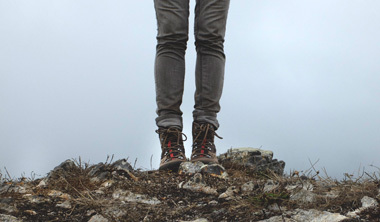 Her family likes to hike and be outdoors. Sara also loves to coach volleyball and track. Sara has a passion to lead people into the presence of the Lord through powerful and fervent worship. She is excited to be a part of the ministry team and congregation at Journey Church.